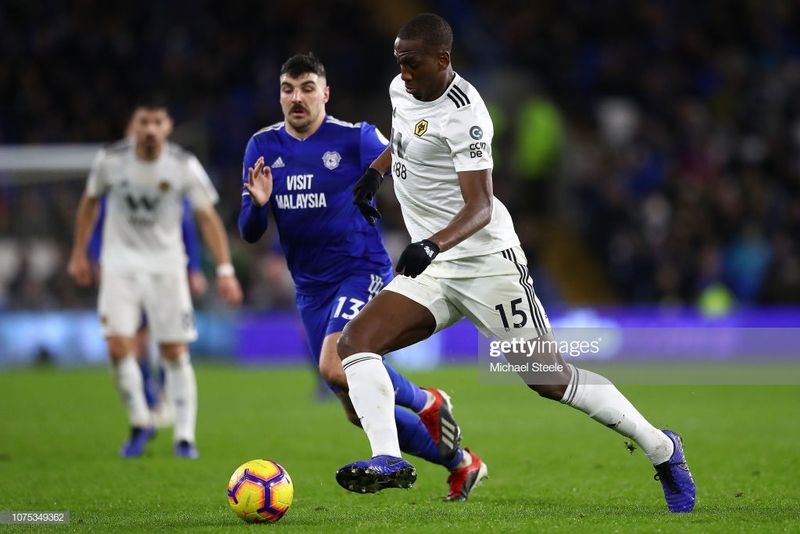 Wolves take on Cardiff City at Molineux on Saturday as both sides look to revive themselves from poor midweek results. Cardiff City travel to the West Midlands on Saturday to take on Wolverhampton Wanderers at Molineux. Both sides come into this game on the back of midweek defeats. Wolves lost 1-0 against Huddersfield Town at the John Smith's Stadium. Cardiff went down 5-1 to Watford at the Cardiff City Stadium. The reverse fixture in South Wales, ended in a 2-1 victory for the hosts. Matt Doherty opened the scoring for Wolves, but goals from Aaron Gunnarrsson and Junior Hoilett gave Cardiff victory. European Football on the cards? Despite losing in midweek, Wolves are still the front runners to finish in a possible Europa League spot. They are currently in 7th but are level on points with 8th place Watford and are only above them by a solitary goal. Wolves have not won since the start of February but they do find themselves in the quarter-finals of the FA Cup. There may still be tensions between the managers, after last season's antics. Nuno Esprito Santo was quick to show his respect for his opposite number tomorrow. He said: "I admire Neil a lot, what he does it amazing. What he achieved last season, the way he competes, he always prepares his teams to fight and this spirit is admirable. "It's his character. He's a natural competitor, so am I. The way we look at things, you must do everything you can to help your team to win. "It's going to be very tough, they're a tough team, every aggressive, they have speed in front, very dangerous on set pieces." Cardiff are well in the relegation battle now and with just ten games to go anything could happen. The Bluebirds have won three out of the last five visits to Moilineux. November was the first Premier League meeting between the two sides and Cardiff showed great fight to come from behind to win. Neil Warnock still believes that this players have the fight to stay up. He said this in his pre-match press conference: "I had a chat with them all and put my point of view forward about the remainder of the season. "After that they had a meeting of their own and I was quite pleased about that. "When you do make mistakes you don't tend to look in the mirror, you tend to look around. All I've asked is for them to look in the mirror." John Ruddy will be coming in for his Premier League start of the season, as Rui Patricio is being rested for the FA Cup tie against Manchester United. Ryan Bennett is only one yellow card away from suspension. Victor Camaresa is back for Cardiff. Oumar Niasse, Harry Arter, Joe Ralls and Callum Paterson are all back in contention.